Website design Stanardsville VA – This is a powerful online Internet presence for the VACVPR. The new website redesign substantially increased membership in less than a year. See our website development plan process. 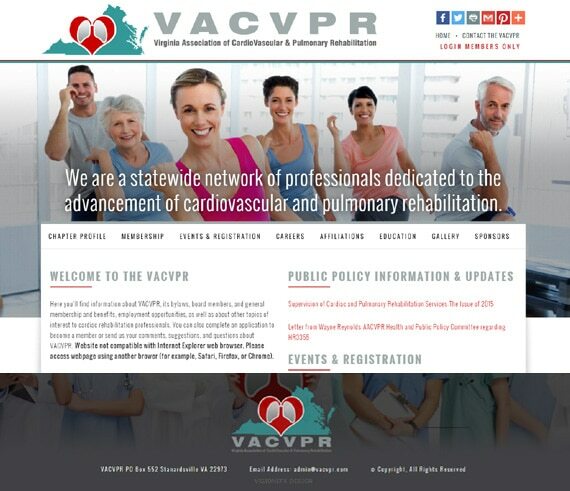 The VACVPR is statewide network of professionals for the advancement of cardiovascular and pulmonary rehabilitation. When searching Web design Stanardsville VA – Web design Associations VA look no further then the web design experts at VISIONEFX for all of your website needs. VACVPR - VA Cardio Pulmonary Rehab.